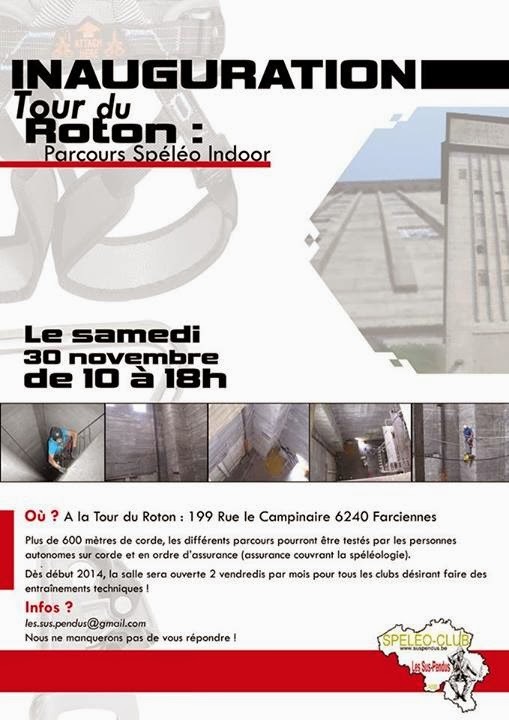 Saturday 30 november from 10 am to 6 pm the new indoor cave training area at the tower of Roton, Farciennes can be visited for the first time. This new facility is rigged and maintained by the grotto Les Suspendus. You can train on different routes: over 600 meters of rope is rigged. Starting January 2014 the training hall will be open to insured cavers 2 friday's a month.